Your laundry room might be a place for cleaning your dirty clothes, but this doesn’t mean that you shouldn’t decorate it. Like any other part of your home, your laundry room also needs design. For this room to be fully functional, it should have ample storage so you don’t end up with a messy room, which can be stressful. When it comes to identifying your storage needs, you’ll have to put your room size into consideration. 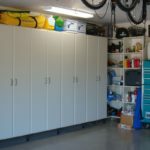 Whether it is a small room adjacent to your garage or a high-traffic area, there is no doubt that it is one of the valuable spaces of your home. To be dedicated to doing laundry and cleaning, it is imperative that you keep it organized. As the name implies a laundry room is exclusive for doing laundry. However, this doesn’t mean that you can’t put other things in it. You can store your brooms, mops and other clean-up tools in this room. You just need to come up with a smart storage solution so things don’t get mixed up. If you want to optimize space, you can add overhead cabinets, shelf, rolling cart, laundry baskets, ironing board, wall-mounted ironing board and shelving over dryer and washer. 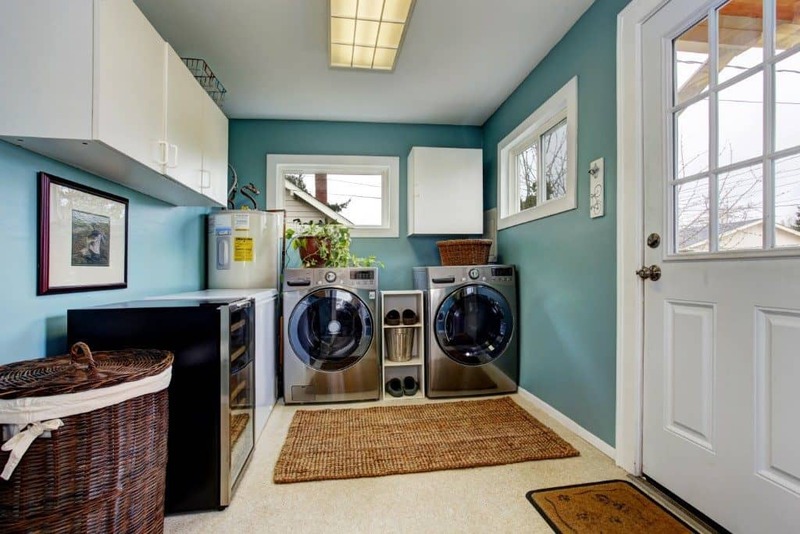 For large laundry rooms, you have more options to explore as you’re not tight on space. There are also better choices for room layouts. For large laundry rooms, you can consider a dryer area with baskets, clean laundry for ironing, spot removal, repair, cleaning tools, appliances and supplies, dryer area with trash and baskets and clean laundry for hanging, folding and ironing. When talking about laundry rooms, there is always one thing that comes to mind: many standard appliances and tools. However, this should not be the case. 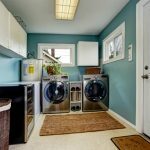 Sprucing up your laundry room is all about ensuring that you have enough storage to get rid of the clutter and still keep the room in style. 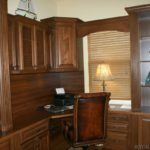 Taking the cabinets all the way to the ceiling is one way to have higher enclosed storage. 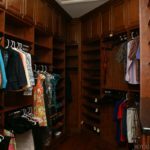 Some valuable storage solutions you can add include pull out racks, broom closet, ironing board storage, rollout cabinets and shelves, door racks, drying racks, and closet style cabinets. 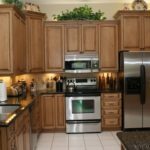 When it comes to choosing the cabinet style, it should go with the rest of your home decoration. If you want to have open shelving, be sure that the design suits your laundry room. If you don’t want large cabinets to overpower the room, you can replace solid doors with glass doors. There are also decorating storage baskets you can purchase to add texture and color to the room. For your upper cabinets, add some LED pothole lights to provide light to the laundry room. You should also have a place where you can take a break. Consider a window seat design that allows for storage underneath your seat. Keep your laundry room neat and organized so you can work efficiently. Your laundry room doesn’t have to have a drab design. Be sure to make each feature stylish and functional to make your life easier.